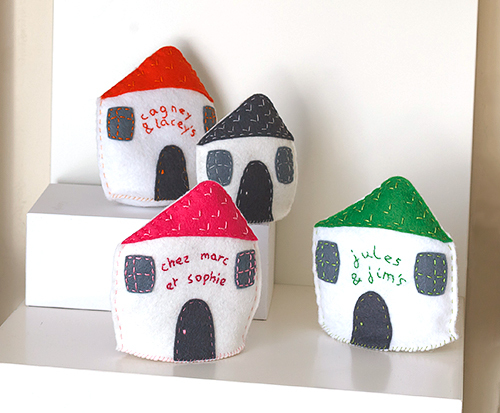 How exciting is it to share with you my new range of customised felt cottages! This is the perfect house warming gift. It adds a pop of joyful colour to any home and it is personalised with any text you like: family name, owner’s first names, nicknames, you name it (ha ha). Each cottage is hand stitched by me from start to finish. It is stuffed with polyfill to give it shape and allow it to stand. It is meant to sit on a mantel piece, a side table in the entrance hall, book shelves or a windowsill. 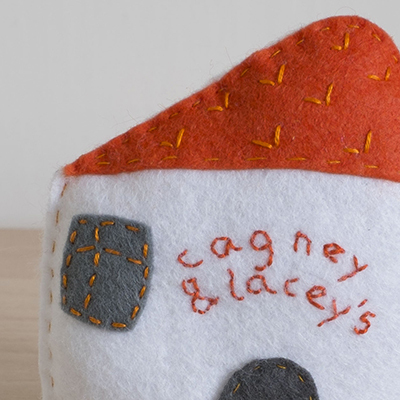 Each felt cottage is 11 cm – 4 1/2 ” high. They currently come in three colours. Price is € 12 plus shipping fee. Of course I would consider any request for other colours as I own a ridiculous range of coloured felt. I could also adapt the size to your request. 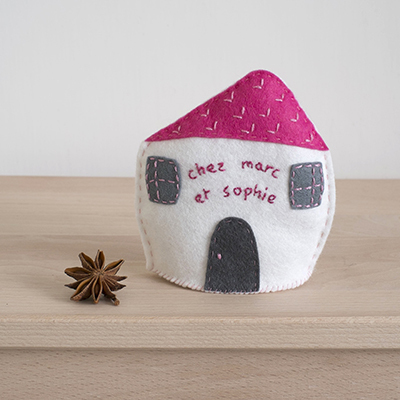 If you want to know more, check out the felt cottage range in my Etsy shop.